The Cat Tree Chicago 175cm has been modelled on the wonderful vision of a Chicago maisonette right in the middle of Chicago! This eye catching creation has an expansive network of platforms, cosy kitty corners and secluded cat caves. All of this is reachable and accessible for you feline friend via two separate high strength connecting ladders. 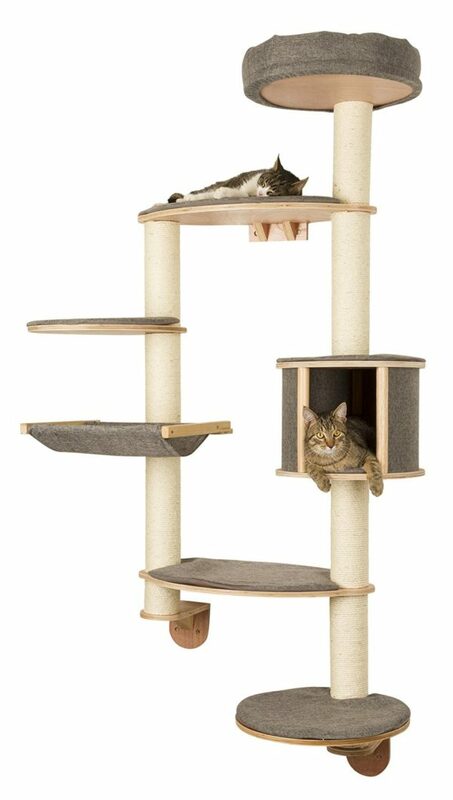 This amazing cat tree also has three beautifully designed ‘couches’ that have been set at different heights to give your feline the ultimate in perching fun! Your feline friend will be completely spoiled for choice as they explore everything that the Cat Tree Chicago 175cm has to offer. This cat tree is suitable for cats of all sizes and agility levels and comes is a variety of colours as well!